When Caitlin Prater received a nasty note on Facebook urging her to commit suicide, she transformed the negative energy into a campaign of positivity. 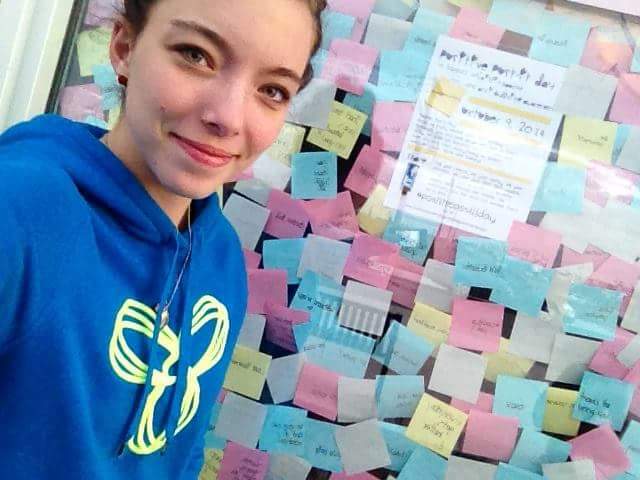 The Canadian high school student put her school supplies to good use–specifically those Post-Its– by writing uplifting notes on every single locker in George McDougall High. You can follow Caitlin’s anti-bullying campaign on Facebook.